Living in our Holy City and being a part of Charleston, SC wedding photographers is a huge honor and privilege. Charleston, SC is a very beautiful city with so many beautiful plantation, historic homes, and people. We are #2 on the east coast for destination weddings. Wedding clients love this city for having so many choices from venues to hotels and plantations. Our city of Charleston, SC in a historic city, well preserved. Any wedding clients having a wedding in this city is quite unique and very southern chic. This is why Charleston, Sc wedding photographers are researched by many wedding clients. We offer a service like no other, we capture memories for a lifetime of keepsake. 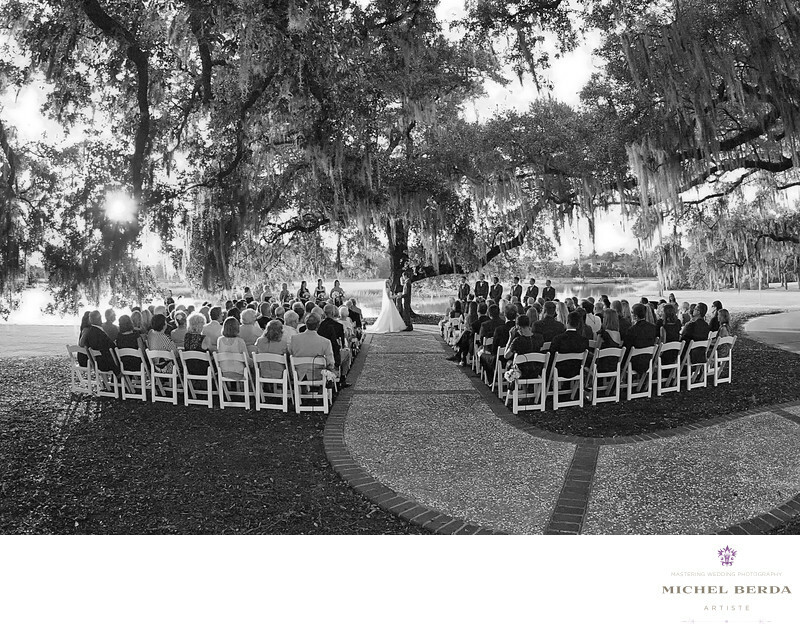 This image, for example, gives you a great feel of how big a 150-year-old Spanish moss tree looks like and how quaint and southern a wedding ceremony can be in our beautiful city of Charleston, SC.Keywords: Charleston (1179), Michel Berda (1140), photographer (1125), Wedding Photographer (1254).